Argyle Feed and Hardware is proud to provide our customers in North Texas with a great selection of cat food. 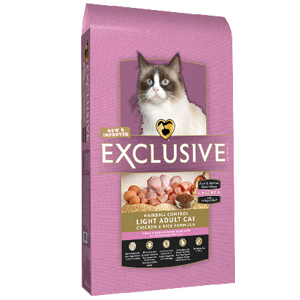 We carry the top brands of cat food, including PMI Nutrition, Red Flannel, and Exclusive. If you own cats in North Texas, then you have got to come by our store and check out the great variety of cat food that we offer. We have a number of specialty feeds for older cats and cats that struggle with hairballs. Come and see our expert staff to get advice on which food is best for your cat. If you are interested in the cat food and other pet food we offer in North Texas, then please click here to view our selection. Here at Argyle Feed and Hardware, we are committed to making sure that you find exactly what you are looking for. If you have any questions about the cat food in North Texas that we offer, then please click here to visit our contact page. We will be more than happy to answer any questions you may have.